The Microsoft Maven, Ballmer himself is taking to the CES stage to command the very first keynote speaking slot. Everyone in the world of Microsoft is dead excited to see what he is going to unveil. Combing the rumors and leaks there are two things that are nearly 100% likely of being announced and shown off at Ballmer’s keynote: new tablets and CDMA Windows Phone 7 handsets. We also have a guess or two that we are not so set on which we will get to at the end. Let’s go. Last year at CES Ballmer showed off tablets running Windows. 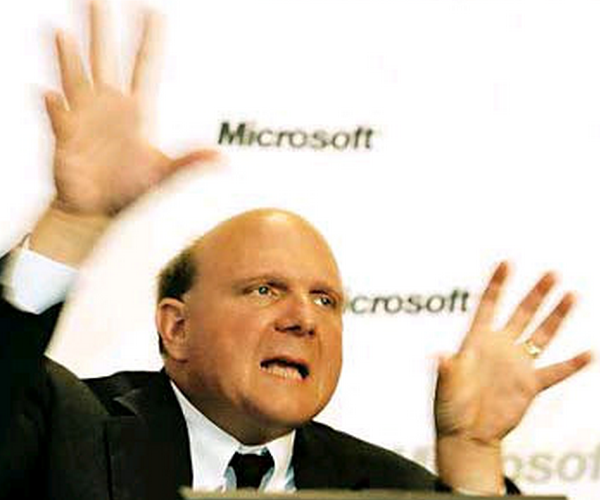 This year at CES Ballmer is going to show off tablets running Windows. Excited? We aren’t. After we brought you the news of the forthcoming tablets we broke down what we thought of what Microsoft is going to be offering. Needless to say, we are not very enthusiastic about what Ballmer is likely to release, but hey, we would love to be proven wrong. So yes, more tablets with Windows. When will they be any damn good? Ballmer is hoping 2011. The Verizon and Sprint Windows Phone 7 handsets cometh, and Ballmer wants a big stage to announce them on. What better stage than CES could he want? Ballmer should show off a phone on at least one of the two networks to keep the phone line’s momentum up and strong. This is a no brainer, unless Microsoft has run into snags that it did not foresee. Right, so what else could be coming? We may see new Windows Phone 7 sales numbers. Mary-Jo Foley has a neat guess that we may see some Surface tablets thrown into the mix for eye candy. We aren’t sure, but that would be an eye-popper if we have ever seen one. We could see a new Zune HD, something that has long been in the rumor mill. Heck, we could even see some really early Windows 8 material. Time will tell, right? The keynote is at 6:30 on Wednesday. Get ready.